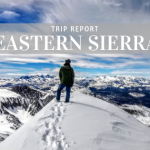 When: Saturday, November 22 | Doors-Shopping Specials: 5:00 p.m. | Official Program: 6:30-8:00 p.m.
Join your fellow ladies in the Truckee-Tahoe area for a fun night at your local outdoor gear headquarters and get excited for winter along with the rest of us! 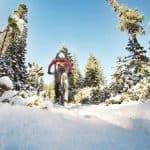 Tahoe City, CA native and inspirational pro-skier, Michelle Parker will lead a motivational discussion on her career and what it takes to be a successful action sports athlete. 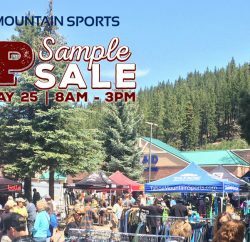 Additionally, attendees of this FREE event will enjoy store-wide savings and special deals on women’s specific apparel, footwear and gear. Utilize this great evening as the perfect opportunity to do some holiday shopping, or to simply spoil yourself! A portion of proceeds from Ladies Night will benefit the SAFE AS Clinics, a local non-profit organization that fosters exceptional opportunities for women to learn about the skill sets needed to become a well educated skier or snowboarder. Take advantage of special discounts on gear and clothing this night only! 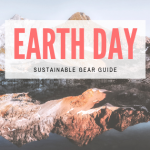 There are great prizes to be won in the raffle (benefiting the SAFE AS Clinics), including a Ghost Whisperer hooded down jacket (valued at $300) from Mountain Hardwear and lots more (including gear from Vapur and Pistil)! 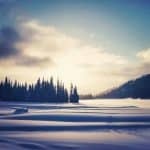 With winter just around the corner, Tahoe Mountain Sports has everything you need to stay warm outside. 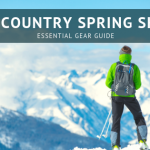 If you’re into hiking, yoga, Crossfit, rock climbing, skiing or snowboarding, snowshoeing or Nordic skiing, we’ve got the gear to get you out there! Enjoy special shopping deals in an intimate and customized setting that will leave you inspired to take your skills to the next level. 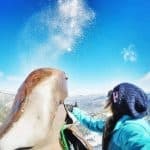 Michelle Parker is a 27 year old professional skier who was born and raised in Squaw Valley and has been a member of the Squaw Valley Freeride Team since 2006. 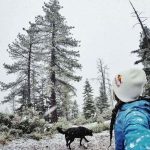 After competing in X Games events for Slopestyle and Halfpipe Michelle turned her focus on filming with Matchstick Productions and has been featured in the latest film ‘Days of My Youth’ as well as ‘Superheroes of Stoke’, whereupon she was awarded IF3’s and Powder Awards ‘Best Female Performance’. 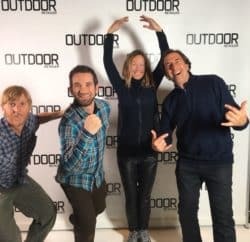 Michelle is addicted to chasing winter in both the Northern and Southern Hemispheres and has spent the past 9 summers guiding and coaching in Argentina at South America Snow Sessions.. Michelle spends most of her time in the mountains skiing, climbing, and mountain biking. 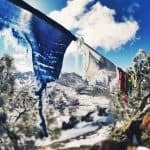 She co-founded SAFE AS, is an advisor for High Fives Non-profit Foundation, is an ambassador for both Alpine Initiatives and Climate Reality, and has raised over $18,000 for the Sarah Burke Foundation. Philanthropy is equally as important to her as she see’s skiing as an outlet to inspire and create a positive change. SAFE AS (Skiers Advocating and Fostering Education for Avalanche and Snow Safety): Created by Elyse Saugstad, Jackie Paaso, Lel Tone, Michelle Parker, Ingrid Backstrom, and Sherry McConkey, the SAFE AS clinics goal is to heighten community snow safety and avalanche awareness by hosting women’s intro to avalanche safety workshops. These leading ladies of skiing hope to foster an open, welcoming environment by which to encourage participation and communication. If you can’t make the event but would still like to donate to a wonderful, women’s cause, please check out the SAFE AS website. 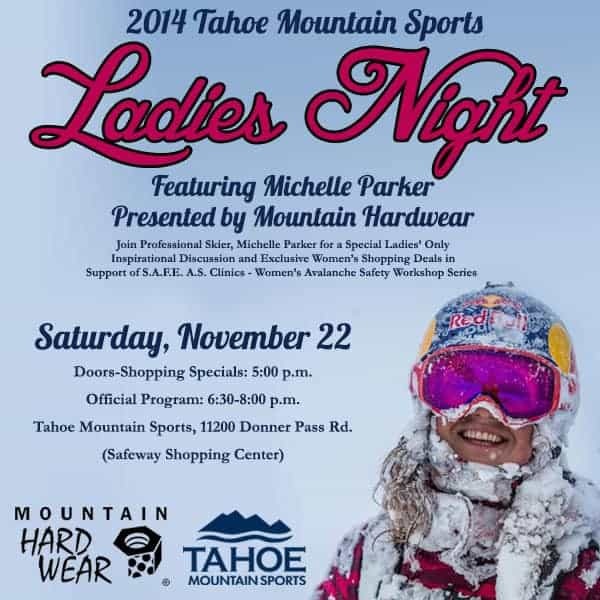 Thank you to Mountain Hardwear for sponsoring the 2014 Tahoe Mountain Sports Ladies Night with Michelle Parker! 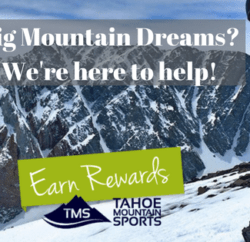 Tahoe Mountain Sports proud to work with Michelle Parker. 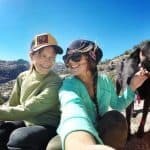 The above video introduces episode one of Michelle and SASS Global Travel’s latest venture, “Argentina Calling”. Throughout the first installment of this three-part series, Parker shows us what drives her to South America from her home in Lake Tahoe, CA each summer. Enjoy watching the lady shredder chase pow while she gives us a taste of what’s to come in the next two episodes.